Brief Synopsis – A widow hires a group of men to find a gold shipment that her former husband hid. My Take on it – This is another John Wayne film that I wanted to see, so it was an easy choice for this series. I’ve always been a fan of his films and hoped for the best with this one. 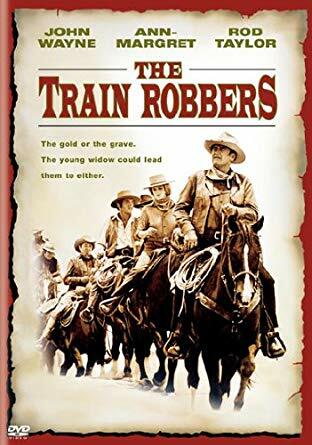 Unfortunately, this is a pretty mediocre Western and it fails to work well on so many levels. Having Wayne and Ann Margaret in the mix should help, but it doesn’t and things are presented in a pretty haphazard fashion throughout. Rod Taylor also doesn’t manage to add much to the enjoyment of this film. Wayne and Margaret actually feel underused in this film and they lack any kind of real onscreen chemistry which also does damage to the way that this film can be perceived. The main role should probably have been given to a younger actor and this is one of the first times, that it feels as if Wayne os miscast in a role and this too hurts the film. The story itself moves along at a pretty slow pace and doesn’t remain interesting enough even if the film is just a tad over 90 minutes. Thankfully,it’s still a heist film that can be seen for some of its smaller merits and it feel just passable instead of something much more. Bottom Line – Pretty mediocre Western that doesn’t work well at all. Even Wayne and Margaret feel underused in this film and their lack of chemistry also hurts this film. It’s always fun seeing The Duke in a Western but he is miscast in this role that should have gone to a much younger actor. The story itself isn’t as interesting as it could be and leaves much to be desired, but is still passable as a heist film.